Proven in cinematic production, documentaries, television and more. Whether you deliver 4K or HD it’s a production powerhouse. *RAW recording requires RAW Bundle upgrade. It’s ideal for the most demanding productions and most discerning DPs, it has all the tools you need in your arsenal to achieve the perfect image. 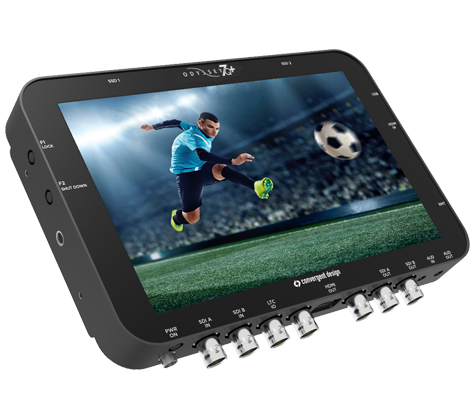 The Odyssey7Q+ is the most advanced, most capable, most versatile monitor/recorder in the world. The Odyssey7Q+ can record HD/2K/UHD/4K. It can record them via SDI and HDMI. It can record RAW (with Odyssey RAW Bundle upgrade), uncompressed DPX, and Apple ProRes 422 (HQ). The Odyssey7Q+ features an OLED 1280×800 monitor with true blacks, accurate colors, extended color gamut and a 176 degree viewing angle.